My customers ask me all the time "Why does my furniture get so dirty?" Nine times out of ten the answer is simple. You have pets. Dogs and cats are notorious for not wiping there paws before coming inside. I know I'm joking but it's true pets are the biggest reason that upholstery gets as dirty as it does in Tampa FL. Upholstery falls victim to the copious amounts of sand we have down here. Pets bring the sand in embedded in their paw pads. Even if you wipe their feet with a towel each time you let them in the sand that's wedged up inbetween their toes is going to dry out and end up on the floor or furniture. 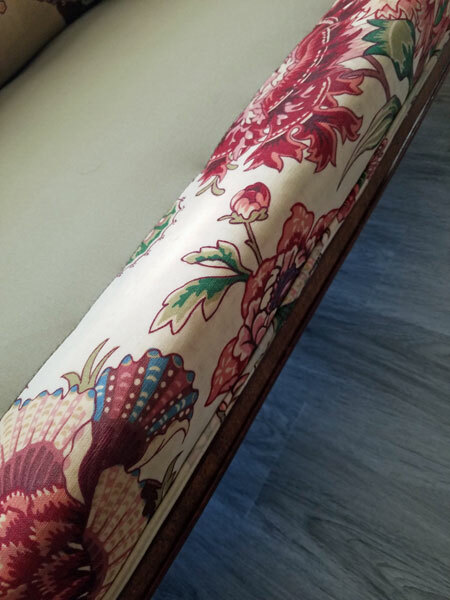 The pictures above were taken during an upholstery cleaning in Tampa FL. 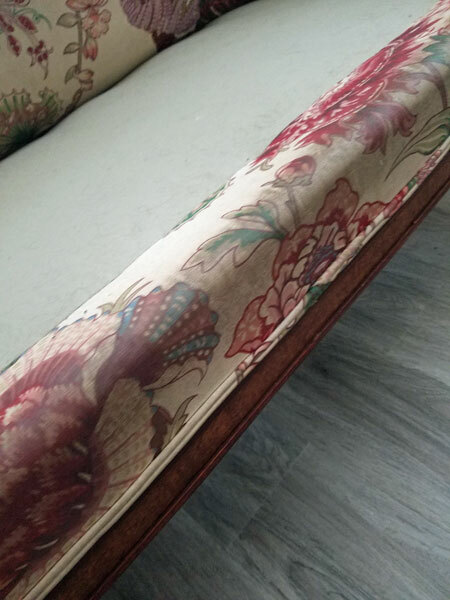 The owner had covered her love seat with a blanket to make sure her dogs did not get it dirty, but the dogs used the front of the love seat as a rubbing post. They would come in from being outside and rub against the upholstery leaving layers of sand and soil to build up over time. This was a beautiful piece of furniture with carved wood accents and she needed it cleaned so she could start to show it off again. She called several upholstery cleaners in Tampa FL but no one would clean it for her. It was considered a risky piece to clean by most standards. After a few tests I was able to discern the best way to clean the love seat without putting it at risk. Once it was cleaned it looked new again and I have a very happy customer. Looking for an upholstery cleaner in Tampa FL call Chem-Dry of Tampa.